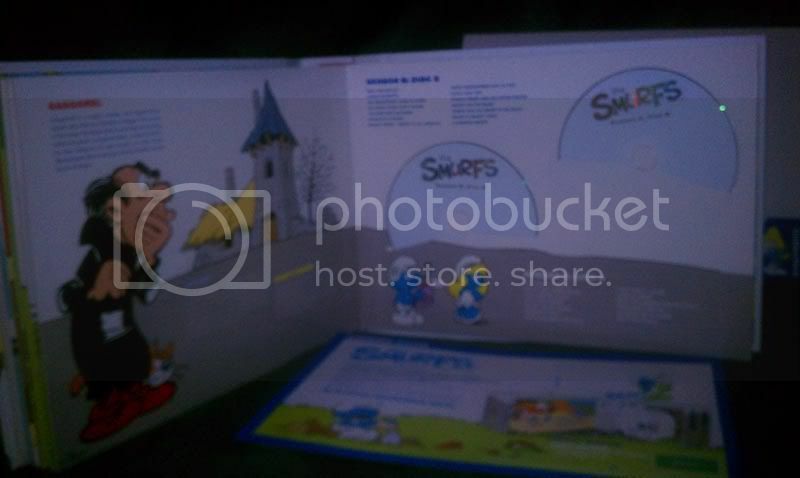 The Smurfs made their first appearance in the story of Johan & Peewit in “Le journal de Spirou” in 1958. Thanks to their creator, Peyo (Pierre Culliford) the little blue characters, no more than 3 apples high, soon became stars in their own right. But it wasn’t until 1981, with the help of the celebrated cartoon duo Hanna & Barbera that work began on the television series everyone knows and loves. 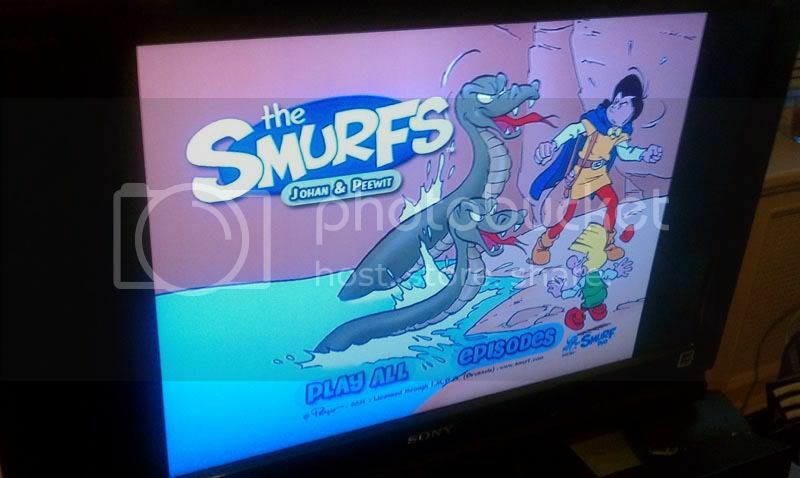 Now, over 50 years on from their original inception, join Papa Smurf, Smurfette and the rest of your favourite characters in this Ultimate Collection containing 223 adventures, including 8 exclusive episodes featuring characters, Johan and Peewit, never before released on DVD. 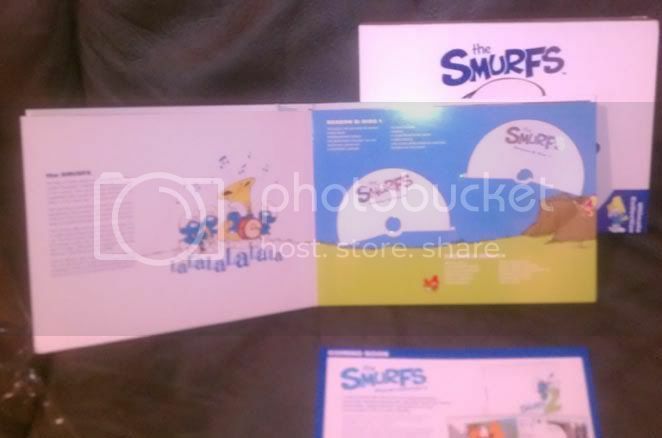 • 18 discs packed with over 56 hours of smurfy adventures! • 8 exclusive episodes featuring the characters Johan and Peewit. 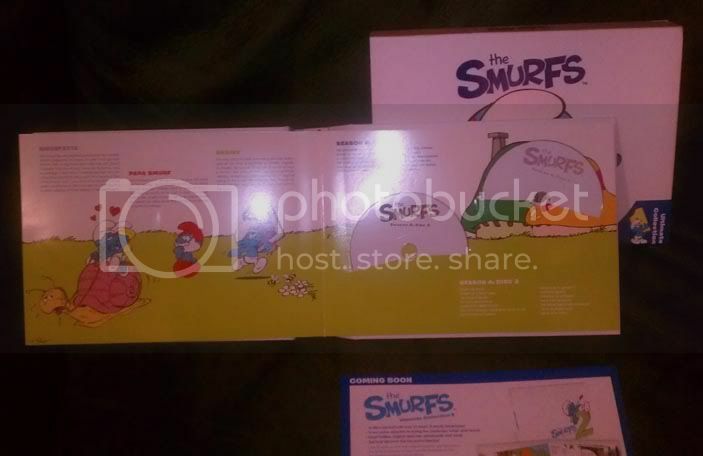 • Smurf Profiles, original sketches, storyboards and more! Kind of pricey, for any completists out there, another volume is being released as well to complete the series. And of course it's international, why would we get something that great in the states. Am I blind? Where is the price listed for the ultimate collection? I think it depends on what store you buy it from in Australia. Someone recommended to me EzyDVD I think? I remember seeing $140 as one of the cheaper options. I ordered volume 1 from dvdland.com.au. They charged my credit card, then canceled and said they won't ship it to the US. Pretty idiotic that they'd charge before verifying that they'd be able to send it abroad. So I ended up ordering from ezydvd, where I have placed orders before without a hitch. Looking forward to receiving the first volume. Has anyone found reviews for the set anywhere? 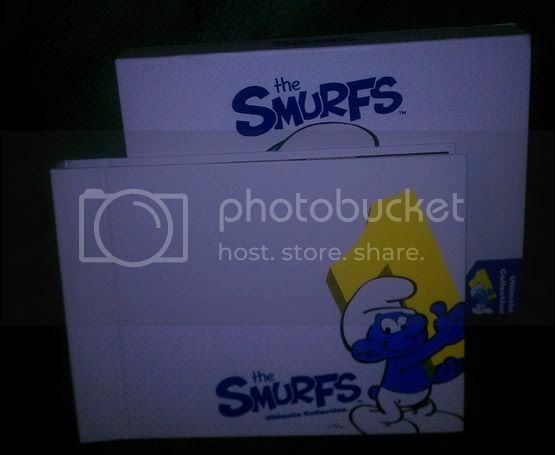 Take some pictures of the set and post if you don't mind when you receive it. Just got it in the mail today. Sorry, I'm in a rush but took some quick pics. It's a nice set, not too big. The writing throughout the book is a bit amateurish but there are good illustrations throughout. It's a cardboard affair, but still sturdy. No floaters. Shipping from EzyDVD was fine, no dents. It cost me about 200 US dollars with shipping and exchange fees. Worth it? I don't know... a bit expensive, but it's an awful lot of content... but on the other hand, it's only half the series. But a very nice set. The first disc has the Johan & Peewit episodes. I really wish we'd get something like this in the states. I like the show, but getting only single disc "sets" is really annoying. Already it's gone from EzyDVD... wonder how limited this set is. Still available at other sites though. I assume this is in PAL with 25 fps speedup? A real shame that this couldn't be released in proper 24fps speed in the USA! That is a rather large image. Isn't it. You get the other release skywalker? Can you post some more pictures if you can? Yes, I got the 2nd volume as well. I'd take more pictures, but it looks pretty much the same. 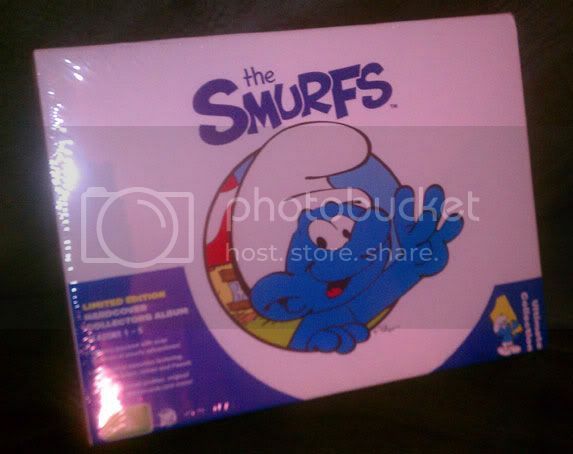 Just smurfette instead.